Your rope is literally your lifeline when working in the wind energy industry. We here at GME supply pride ourselves in providing all of the gear you need to get the job done. We have a wide range of rope devices and accessories for you to choose from. Our devices include prusiks, carabiners, pulleys, ascenders, descenders, rope grabs, termination plates, rope protectors, and rope wash.
A prusik is a friction knot or hitch that is tied around a rope and can be used to ascend or descend on the rope. Prusiks can be made out of different materials (just like rope) and come in a range of lengths. Carabiners are one of the most versatile pieces of equipment you can put in your gear bag. They can be used for a wide variety of functions while climbing and come in so many different options that we could write a book talking about the different types. However, a few important things to keep in mind when picking out your carabiners are size, gate type, and standards. For more information about carabiners click here to go to our knowledge base. If you’re in the solar energy industry then pulleys will be invaluable to you. When lifting and rigging having a pulley can help reduce the force needed to transport a load. As with carabiners, there is a ton of information on pulleys but the most important things to be aware of are: size, load limit, and standards. When lifting and rigging it is important to know all of the requirements set forth by the ASME B30 Standard for Lifting & Rigging. Check out our blog post about ASME B30 Standards for lifting & rigging here. Getting up and down a rope, or being held securely in place while working, and doing it safely is a top priority. After all, if you can’t get up or down the structure and can’t stay in one spot to work on it, the job would never get done! That’s where ascenders, descenders, and rope grabs come in. An ascender has one main function - to help you ascend the rope. Ascenders have a handle for you to grip and a rope clamp that will move up the rope and lock in place once pressure is put on the device. This allows you to travel up the rope without worrying about sliding back down. The descenders (also called belay devices) are a little different. While their main function is still to help you descend the rope many descenders like the Petzl I’D can also be used in rescue situations. Some descenders have a rope clamp and can be used for a wide range of applications. A termination plate is one handy rope device. While having sewn or spliced terminations is ideal, sometimes that just isn’t an option. Tying a knot in a rope greatly reduces the strength of the rope and typically a termination plate can replace the knot with a lower reduction in strength. For more information on strength reductions when using knots or termination plates please refer to the manufacturer specifications. Caring for your rope can increase the life of your rope and save you money. Our rope care options include rope wash and rope protectors. Rope protectors are a great thing to have stored in your rope bag. Sharp or abrasive edges can wreak havoc on a rope and completely ruin it. A simple rope protector wrapped around the part of the rope that will be in contact with a sharp or abrasive surface can save the integrity of the rope and increase its usable life. Rope wash has a similar function. Dirt, dust, and grime can cause a rope to lose its integrity forcing you to replace it more often. Simply washing your rope to remove the dirt, dust, and grime can extend the lifespan of the rope and ensure that you are safe while on the job. For more information about the importance of rope wash click here to see our blog post about it. Need more information about our selection of rope devices, or need help finding what you’re looking for? 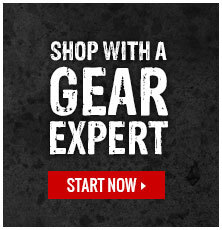 Contact one of our Gear Experts® for more information.